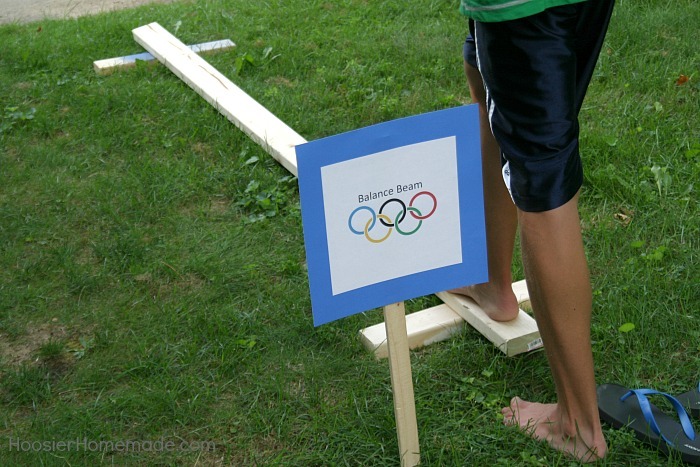 Get the whole family involved in the Olympic Games! 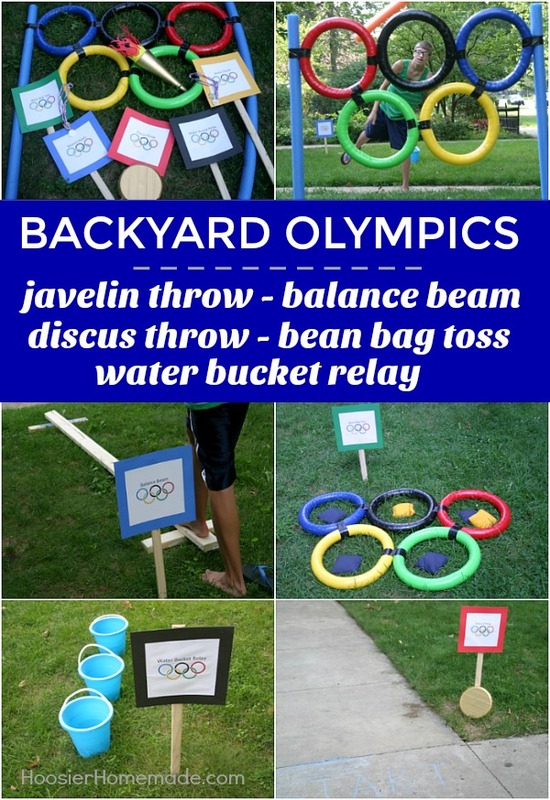 These fun and easy Backyard Olympic Games include Javelin Throw, Balance Beam, Discus Throw, Bean Bag Toss and Water Bucket Relay! 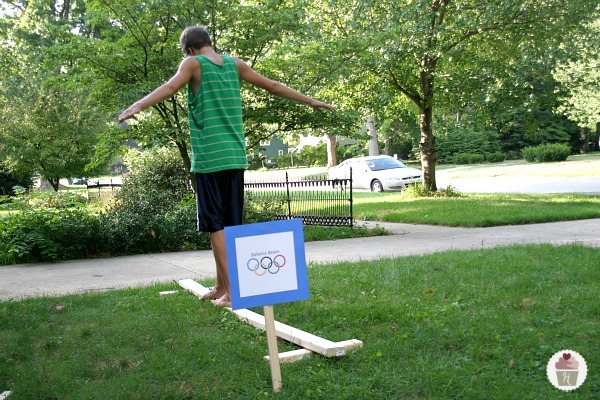 The Olympics are coming soon! Do you watch them? 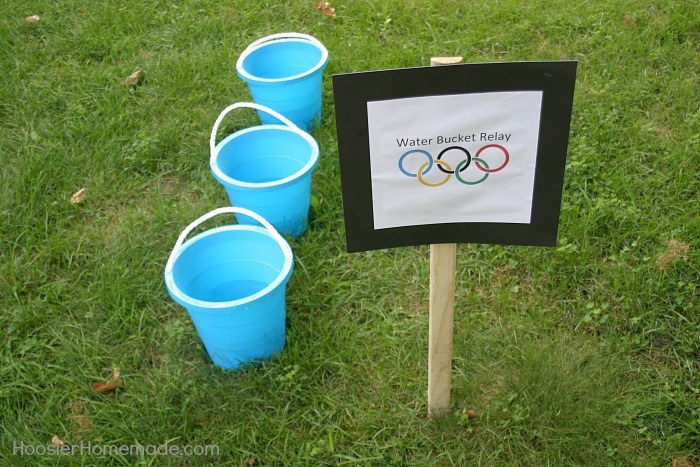 We are avid watchers, not only to see the sports, but to see the athletes from the different countries. 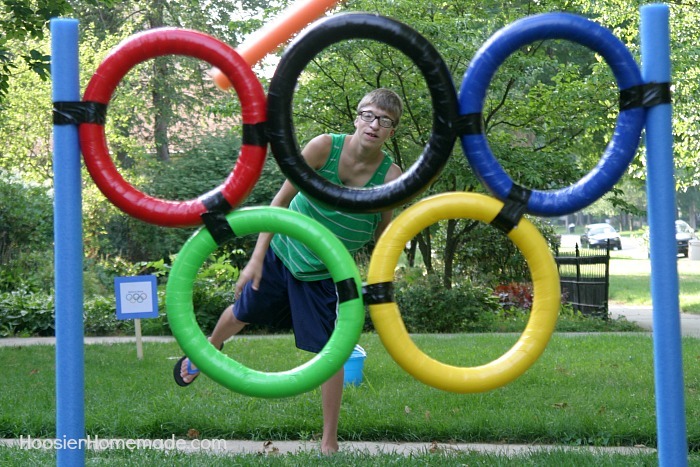 From the opening ceremony to the closing, we are glued to our television. 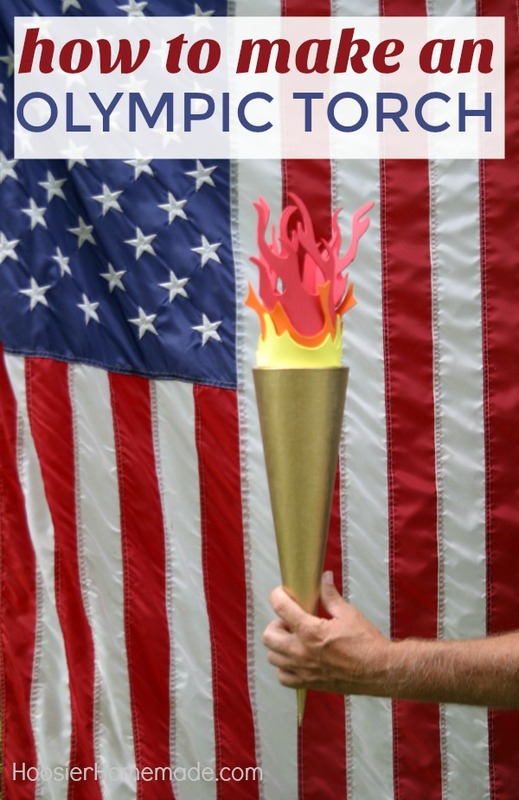 Each time I see an athlete on the podium and the National Anthem is played, I get a little choked up. I think of not only all the hard work that went into the achievements but also the pride that they must feel to represent our country. 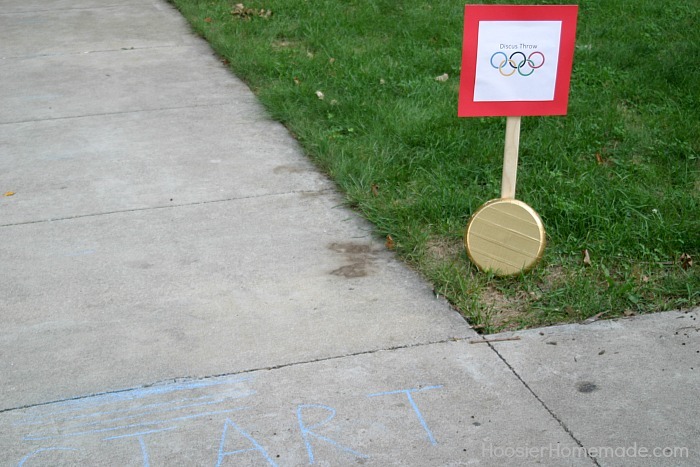 Some of the other fun additions were the signs we made for each event, simply printed on the computer, attached to colored paper and taped onto a stick, then drive the stick into the ground. 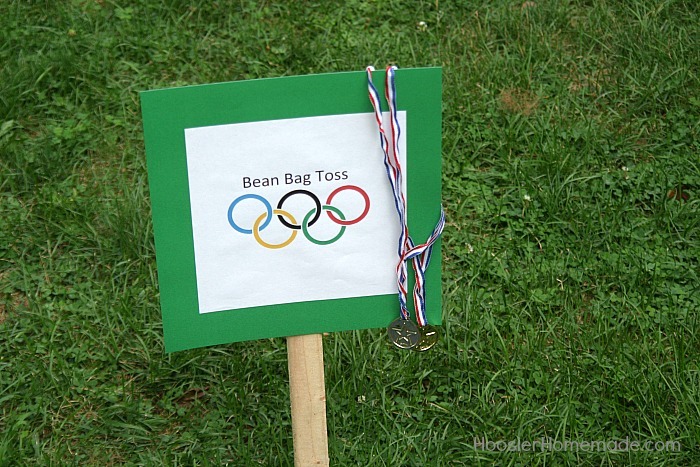 The plastic medals are always fun for the kiddos too. 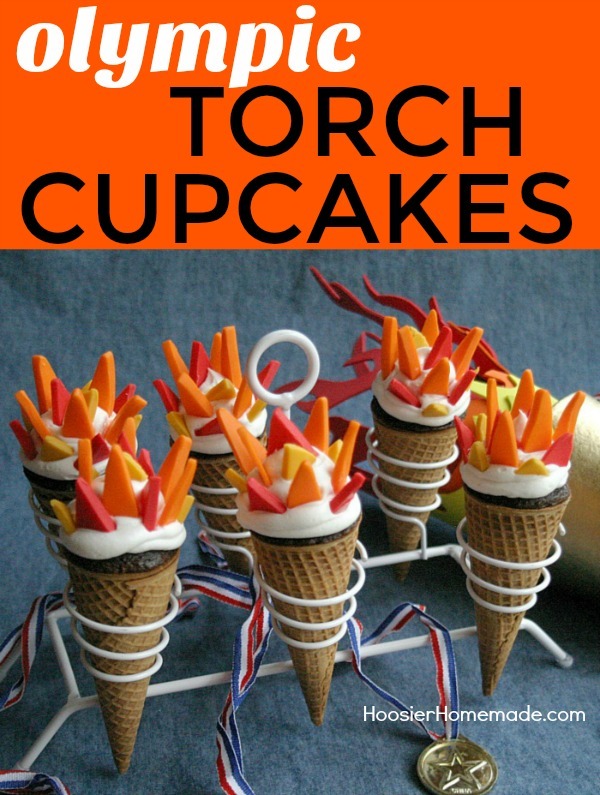 and the Olympic Torch Cupcakes are also lots of fun! 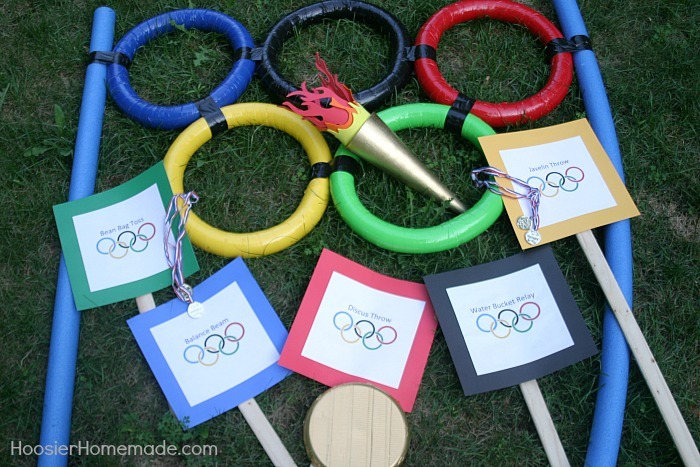 So tell me…what’s your favorite Olympic Games event? 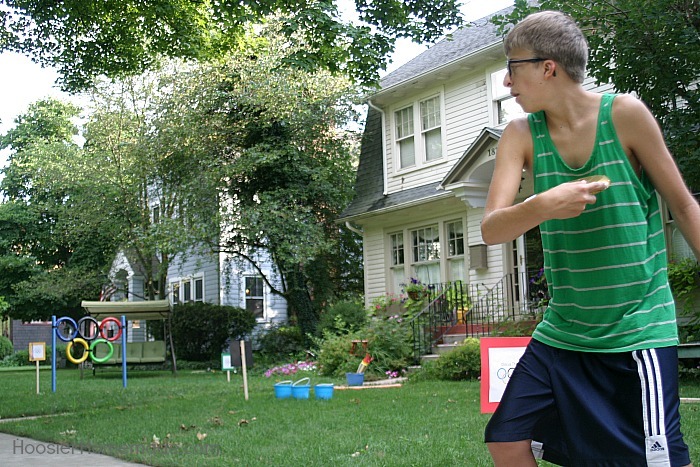 To watch…or play? I love all your activities! 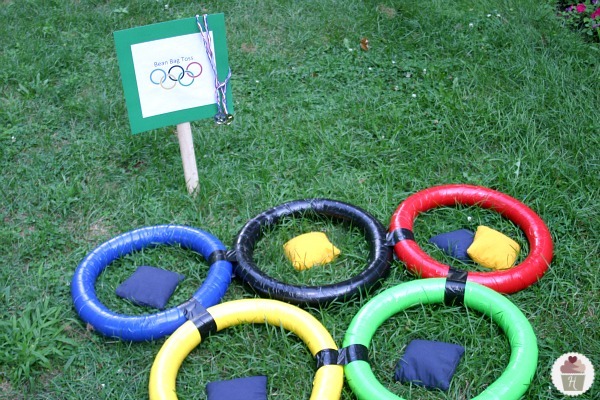 What a wonderful set of rings you created! 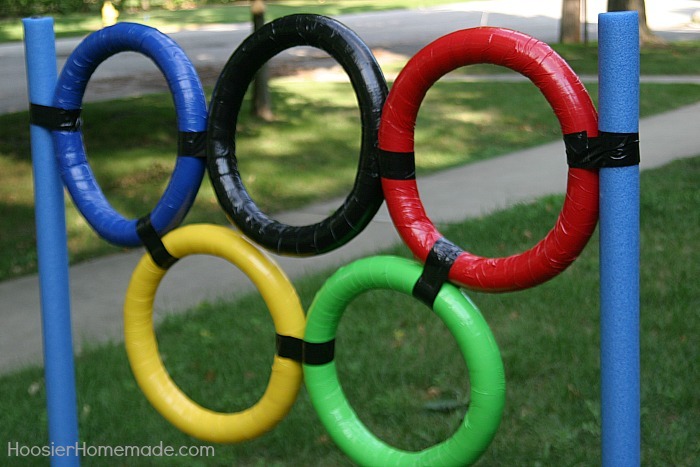 We made the pool noodle ring toss for 4th of July, only we didn’t wrap each ring with duct tape. 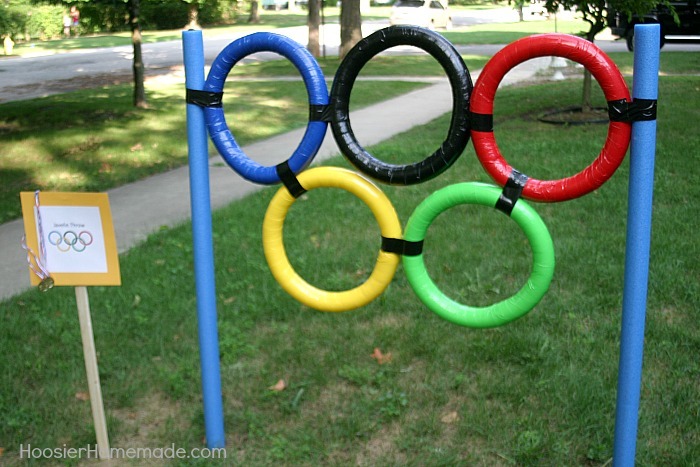 Only used the duct tape to secure them together, but we weren’t trying to be “color specific” either. 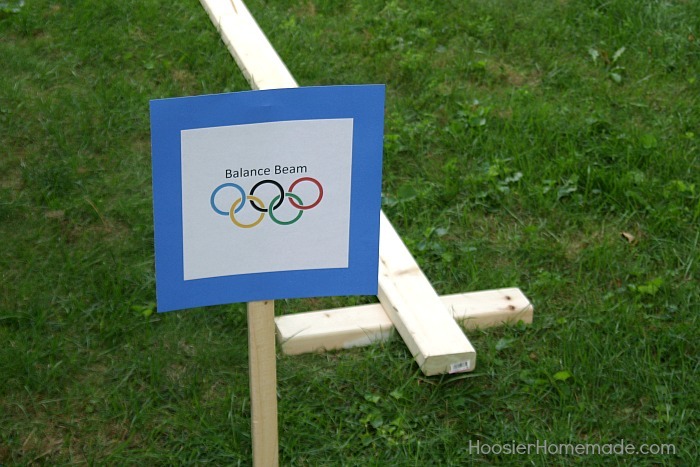 Also, we used 1/2″ pvc pipe for the pole anchors. 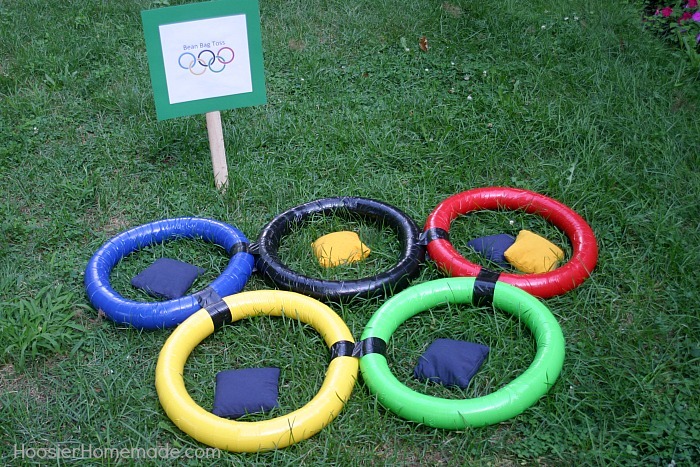 The grandkids loved the game tossing a frisbee through the rings!